Hopefully, this isn't the case for you, too (ok, bad pun, but I couldn't resist). What I mean is we (the Office of Safety) communicate with you through a number of channels. We use the Safety Compass; we use our website; we use social media; and we meet with you in person at peer exchanges, professional association meetings, etc. We'd like to hear from you on what's working, what isn't, and if you can find what you're looking for. The Safety Compass newsletter is our primary vehicle to communicate information on new and forthcoming programs, publications, and other offerings from the FHWA Office of Safety. We've made a number of changes to this newsletter over the last year in response to reader comments. Starting with this issue, we'll be using the GovDelivery platform, which will expedite delivery to subscribers and will better integrate with FHWA's other newsletters. This year we are also undertaking a comprehensive "facelift" of our web site (see page 3). We trust that the changes we've made will make it easier for you to find what you are looking for and for us to notify you of exciting new offerings. We announce new programs first on the main FHWA Twitter and Facebook feeds. Sign up at http://tinyurl.com/mxj5cxg and http://tinyurl.com/qgabj9f. We also post our safety-related photos and videos on FHWA's Flickr (http://tinyurl.com/n3vx674) and YouTube (http://tinyurl.com/ol9cw62) sites. Our professional staff are active in transportation-related networks. We present at conferences, serve on professional association committees, exhibit at transportation-related tradeshows, and lead trainings at peer exchanges. We are always eager to meet you, share with you, and learn from you at these events. Please let us know what you think of our website, newsletter, and other communications platforms. It is our goal to get you the information and resources you need quickly and to get you in touch with an expert if you have questions. So if you still haven't found what you're looking for (in highway safety), I invite you to contact me directly at tony.furst@dot.gov to tell us how we can improve the way we communicate with you. 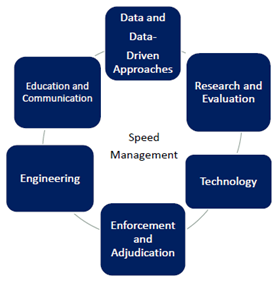 The Speed Management Program Plan addresses speeding from six distinct focus areas; data, research and evaluation, technology, enforcement, engineering, and communications. The six focus areas are intended to address the dangers of speeding, create synergy among partners and stakeholders involved in speed management, and result in meaningful change. It is expected that these priorities may evolve over time and will be revisited periodically when the program plan is next updated. FHWA is the lead agency accountable for the engineering actions. 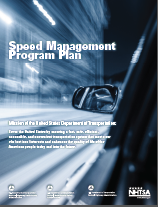 With the guidance of the USDOT Speed Management Program Plan, we will continue working with USDOT Speed Management Team member agencies and providing technical informational guides, tools, and free training and webinars, to assist States and locals in implementing speed management countermeasures to reduce speeding related crashes. Please visit FHWA's speed management website at http://safety.fhwa.dot.gov/speedmgt/ for speed management information and resources. For more information, please contact Guan Xu at 202-366-5892, guan.xu@dot.gov. Early this fall, the Office of Safety will launch a new, streamlined, and graphically oriented look for its web site. 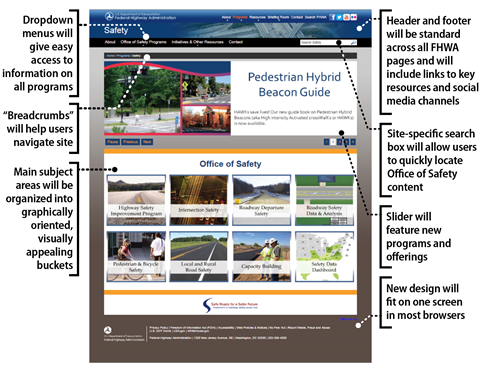 This "facelifted" page will present program information in easy-to-access, visually appealing categories; display new programs more prominently; and bring the Office of Safety page in line with the FHWA-branded look that other offices at the agency have already launched. A search box that is specific to content on the Office of Safety. The URL for the facelifted page will remain the same as the current page, http://safety.fhwa.dot.gov/. Check out the preview below, and log in this fall to see the new page live. If you have comments about the new look, please contact Tara McLoughlin at tara.mcloughlin@dot.gov. The public depends on road agencies to build and maintain safe roads, walkways, and bikeways. Road Safety Audits help agencies meet this expectation by enabling road owners to identify and mitigate safety issues before, during, or after roadway construction. To further the goal of empowering road owners to perform safety evaluations of their facilities, the Office of Safety recently developed a Model Road Safety Audit Policy, which is designed to assist agencies in developing a policy for establishing and implementing a Road Safety Audit program. The Model Road Safety Audit Policy is intended to assist agencies in developing a policy for establishing and implementing a Road Safety Audit program. It is designed to be a flexible document that can be used by any state highway or local transportation agency to help the meet their safety needs. This model policy is a flexible document that can be used by state highway or local transportation agencies to help them meet their needs. It can also be customized to be consistent with an agency's specific processes, practices, and budget constraints. Is integrated with other policies and programs within the agency, such as their Strategic Highway Safety Plan (SHSP), Highway Safety Improvement Program (HSIP), crash reduction goals, safety focus areas, and funding sources. The Model Road Safety Audit Policy can be found on FHWA's RSA website at http://safety.fhwa.dot.gov/rsa/. For questions about the FHWA Road Safety Audit Program, contact Rebecca Crowe at rebecca.crowe@dot.gov. ITS improves transportation safety and mobility and enhances American productivity through the integration of advanced communications technologies into the transportation infrastructure and in vehicles. ITS encompasses a broad range of wireless and wire line communications-based information and electronics technologies. To help practitioners improve their understanding of the link between ITS and safety, the FHWA Office of Safety is preparing to unveil a new web site dedicated to Intelligent Transportation Systems (ITS). This web site will provide resources and guidance designed to educate the highway safety community about the role that ITS plays in enhancing roadway safety. The site will also provide resources to help safety practitioners understand how current ITS areas of focus, such as the Connected Vehicle Program, are addressing safety issues. Connected vehicles are currently one of the main areas of focus of the U.S. Department of Transportation's Intelligent Transportation Systems Joint Program Office (ITS JPO). Connected vehicle safety applications will enable drivers to have 360-degree awareness of hazards and situations they cannot even see. Through in-car warnings, drivers will be alerted to imminent crash situations, such as merging trucks, cars in the driver's blind side, or a vehicle ahead braking suddenly. By communicating with roadside infrastructure, drivers will be alerted when they are entering a school zone, when workers are on the roadside, and when an upcoming traffic light is about to change (see http://www.its.dot.gov/safety_pilot/ for more information). Vehicle-to-Vehicle (V2V) Communications for Safety: This research will investigate key questions such as are vehicle-based safety applications using V2V communications effective, and do they have benefits. Research is designed to determine whether regulatory action by the National Highway Transportation Safety Administration is warranted to speed the adoption of these safety capabilities. 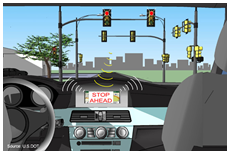 Vehicle-to-Infrastructure (V2I) Communications for Safety: This research will investigate similar questions about V2I communications, with an initial focus on applications based on the relay of traffic signal phase and timing information to vehicles. The purpose is to accelerate the next generation of safety applications through widespread adoption of V2I communications. Low-cost rural ITS safety countermeasures are included as part of this effort. Vehicle-to-Pedestrian (V2P) Technologies: This research will investigate V2P and Pedestrian to Infrastructure (P2I) technologies that help to reduce pedestrian crashes. Road Weather Management: This research will help determine how vehicle-based data on current weather conditions can be used by travelers and transportation agencies to enable decision-making that takes current weather conditions and future weather forecasts into account. Human Factors: Additional technology in vehicles may have the potential to overload drivers and increase safety risks. This research will examine the extra burden that in-vehicle devices may put on drivers and will seek ways to minimize or eliminate distraction risks. Up-to-date, integrated State and local data play a vital role in helping States make safety decisions. The most recent transportation legislation – Moving Ahead for Progress in the 21st Century (MAP-21) – requires States to maintain a database to support analysis of the safety of all public roadways. Additionally, FHWA established the requirement for States to maintain an all-public-roads linear referencing system (LRS) and all-public-roads basemap. To meet these requirements, States must undertake projects to collect and integrate local roadway inventory data into a statewide database. To support advanced safety analysis for all public roads, States and local agencies need integrated roadway inventory, traffic volume, and crash data. One way some States are enabling local agencies to collect and maintain data, while still preserving local ownership and control, is through centrally supported data models like Michigan's Roadsoft program. With Roadsoft, there is no centralized database of local data; rather, local agencies receive a copy of the Roadsoft software to download and maintain locally. However, since Michigan assigned a consistent linear referencing system to the local roads, and since most local agencies use the Roadsoft system, the similar structure and data definitions make it easier to share data when needed. While Michigan DOT (MDOT) provides Roadsoft to local agencies at no charge, it does not eliminate the costs of data collection. However, Roadsoft does improve data quality by defining data collection standards, where applicable, within each module. Local agencies are only required to report standard roadway asset and pavement condition data to MDOT for the Federal aid-eligible portions of their network; however, the same standards apply to all data entered into the system. Additionally, Roadsoft has modules for managing a large number of assets and each module was created based on input from local agencies. To help with data collection, Roadsoft has an integrated, GPS-enabled, mobile data collection utility which links Google Maps and Street View, thus creating an inexpensive photo log. The lessons learned from the Roadsoft effort are that long-term support, local agency control, and frequent, gradual, incremental updates are the keys to Roadsoft's success. The Michigan Technological University's Center for Technology and Training (CTT), which developed Roadsoft for the Michigan Department of Transportation (MDOT), supports incremental software development using a rapid prototyping model with frequent user testing to be sure that the final product meets local users' needs. Local users have a great deal of control over decisions regarding Roadsoft's enhancements–a formal Roadsoft users' group selects and approves each project. MDOT supports Roadsoft by funding the CTT's efforts and by supplying data. With the majority of public road mileage in Ohio owned and maintained by local agencies such as counties, cities, and villages, ODOT faced challenges with consistency in creating and storing local road maps. There was no single standard, and locating crashes on local roads was a "hit or miss" process. For the most part, local road jurisdictions did not have a consistent linear referencing system – many local roadway crash reports referenced approximate street addresses, alias street names, or intersections that no longer existed. Using street addresses as a location reference was problematic because the State road database did not contain address ranges, and the State's list of local street names was often inaccurate. Given that roughly two-thirds of crashes in Ohio happened on non-State roads, this was a significant concern. To remedy the issue, Ohio integrated the local road system into the State LRS by assigning consistent route numbers and mileposts to the local roads and then brought the local roadway data into a centralized data system: the Location-Based Response System (LBRS). With data standards set by ODOT, each local agency collects, inputs, and field verifies the data in LBRS. LBRS is web-based and the information is available for all stakeholders as soon as agencies enter it. Mapping and analytic tools are also available through the website. This integration proved beneficial for both State and local agencies. At the State level, the improved road centerline and mileposting data has enhanced crash reporting and safety analysis–Ohio now places local road crashes more accurately, allowing for better analysis of road safety issues in the counties. The State also now has consistent mapping and data standards for all counties, allowing easy integration and improved data access. Finally, this program helps save taxpayer dollars by reducing redundant, and sometimes conflicting, data collection activities. Ohio plans to improve integration by providing more guidance to local agencies on data maintenance and increasing coordinated communication among the State and local agencies. Historically, the majority of Tennessee's fatal and incapacitating crashes occurred on local rural roads; however, local agencies within Tennessee collected very little roadway inventory data, and the data collected was largely unavailable to the State. In 2007, the Tennessee Department of Transportation (TDOT) hired a contractor to collect location description and inventory data on all local roads and to integrate the information into the Tennessee Roadway Information Management System (TRIMS) database that had been in place for State roads since the 1970s. TRIMS is a single integrated linear referencing system database for State and local roadway structures, pavement, traffic, photo logs, and crash data. 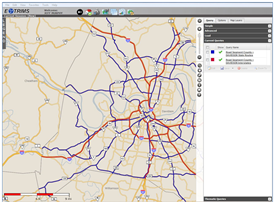 In 2007, TDOT began developing eTRIMS, a map-centric, web-based version of TRIMS, to encourage wider use of the TRIMS database. Additionally, the online application supports easier maintenance as users no longer need to install the TRIMS software locally in order to use the system. While TDOT expects that eTRIMS will eventually replace TRIMS, TDOT, local agencies and contractors in all 95 counties in Tennessee have access to both systems. The benefits of TRIMS and eTRIMS include improved data accuracy (for both roadway and crash data) and access to all safety information in one place. In addition, detailed data analysis results support a wide variety of projects and funding requests. For example, local agencies working with TDOT use TRIMS/eTRIMS to justify safety project funding. Collect data in "real time" to the greatest degree possible. TDOT found that a fully equipped vehicle that collected nearly all data in real-time was more efficient than the previous process of reviewing photo logs and requiring massive investment in post-processing. Establish specific data standards to ensure data quality. The list of data standards given to the contractor had been in place for many years and TDOT was specific in the proposal about data standards and rules. Update State systems if necessary. While the initial effort was to collect only local road data, data collectors found some local/State intersection points that needed adjustment. Improve data collection efforts continuously. Even at the end of the project, TDOT was still making improvements to data collection processes. This is an open-ended investment. TDOT is currently developing a method for long-term data maintenance and hopes to include local agencies in reporting roadway updates consistent with TDOT's data quality standards. For now, the State updates data using an overlay on aerial photography as a way to identify major changes. 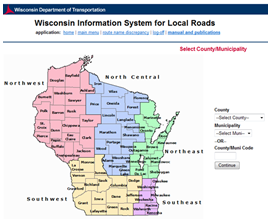 The Wisconsin Information System for Local Roads (WISLR) is an example of successful development of a safety and asset management system designed specifically to meet local stakeholders' needs. For Wisconsin, that included developing the new system in a spatial framework that differed from what was already in place for State-maintained roads, and then integrating the State roadway data with the new local roads system to create an all-public-roads database. Before migrating to the WISLR system, Wisconsin managed the centerline mileage certification process for more than 90,000 miles of local roads with more than 1,900 separate paper maps. The Wisconsin Department of Transportation (WisDOT) entered roadway attribute information into a mainframe database accessible only to select State staff, and local agencies received paper copies of local road mileage certification data. There was enormous duplication of effort – local agencies often had their own systems for managing data on roadway miles, assets, and attributes that were not compatible with the existing WisDOT system. WisDOT launched WISLR in the mid-1990s. It integrates spatial location, asset, inventory, and crash information for local roads using an "on-at-towards" linear referencing system (LRS). Users identify the road name ("on"), plus the distance and direction to the nearest intersecting street ("at" or "towards"). This location coding method gains precision by incorporating measured distances along each roadway. WISLR records intersections at measured distances along that roadway and termini (the ends of the roadways) as the starting (zero) or final distance measurement within a jurisdiction. When a location is specified, WISLR represents that location as the unique combination of the street name and the distance and direction from the nearest intersecting road or terminus. This allows the data for each event or feature to be associated spatially with all other data from the same location. WISLR also includes a translation of State-maintained roadway location, crash, and inventory data into the "on-at-towards" LRS so that WISLR serves as an all-public-roads safety data resource. The vast majority of local agencies use WISLR for data mining and decision-making. The online WISLR user numbers continue to increase each year, and WisDOT is considering upgrades to make the WISLR network representation as high resolution as the state trunk network (STN). This could include turn lanes, medians, dual carriageways, and other features. For more information about the FHWA Integration of State and Local Safety Data project, visit /rsdp/noteworthy_practices.aspx. States reported $3.09 billion in Highway Safety Improvement Program (HSIP) obligations for 3,292 highway safety improvement projects during the 2013 reporting cycle. The HSIP National Summary Report: 2013 presents an aggregate summary of HSIP projects obligated during the 2013 reporting cycle. The summary information presents HSIP project information by cost, functional classification, roadway ownership, improvement category, and SHSP Emphasis Area. Please visit /hsip/reports to view the summary details or the individual State HSIP reports. Cities across the country are eager for information about how to make it easier for residents to get around town by bicycle or on foot. This is happening for a number of reasons–improving roadway safety, reducing obesity, fostering environmental sustainability, attracting young adults, or making it easier for older adults to age in place–to name a few. So what really happens when a community devotes significant resources to improving its walking and bicycling transportation networks? How do bicycle and pedestrian improvements impact health and environmental factors? A new report from FHWA provides some answers to these questions and shows how building networks for pedestrians and bicyclists pays off. Since August 2005, FHWA has overseen the Nonmotorized Transportation Pilot Program (NTPP) designed to study the impacts of increased investment in walking and bicycling facilities and program. The NTPP provided over $25 million dollars to each of four pilot communities (Columbia, Missouri; Marin County, California; Minneapolis area, Minnesota; and Sheboygan County, Wisconsin) to make nonmotorized transportation system improvements. Congress required FHWA to submit two reports describing the results of the program and FHWA submitted the second report to Congress in 2012 (available at https://www.fhwa.dot.gov/environment/bicycle_pedestrian/ntpp/2012_report/). To fulfill the reporting requirements, FHWA and the pilot communities created a Working Group to coordinate implementation of the program and develop a common methodology for data collection and analysis across the four pilots. Even after the final report to Congress was submitted, the Working Group decided to remain intact to continue to monitor the changes taking place in the four communities. In May 2014, FHWA released a new report, Continued Progress in Developing Walking and Bicycling Networks, (https://www.fhwa.dot.gov/environment/bicycle_pedestrian/ntpp/2014_report/) which describes these trends. Mode Share Shift: An estimated 85.1 million vehicle miles traveled (VMT) were averted because of increased nonmotorized trips between 2009 and 2013 relative to a 2007 baseline. The walking mode share increased 15.8 percent from 2007 to 2013, while the bicycling mode share increased 44 percent over the same period. This translates to 22.8 percent and 48.3 percent increase in the number of pedestrian and bicycle trips across the four communities. Access and Mobility: NTPP expanded 1/4-mile bicycle network access to approximately 240,000 people, 106,000 housing units, and 102,000 jobs. More than 70 percent of all NTPP infrastructure projects connect to employment centers, schools, parks, and recreation areas. Environment and Energy: In 2013, NTPP saved an estimated 25 pounds of CO2 pollution per capita in the pilot communities, or a total of 9,065 tons. This is equivalent to saving over 1.25 gallons of gas per capita in 2013 or nearly 3.6 million gallons between 2009 and 2013. NTPP saved an estimated 3.6 million gallons of gasoline between 2009 and 2013. This translates to a savings of an estimated 34,629 tons of CO2 emissions over that time period. In 2013, the pilot communities reduced emissions of hydrocarbons (33.4 tons), particulate matter (255 pounds PM10 and 241 pounds PM2.5), nitrogen oxides (23.3 tons), and carbon monoxide (304.6 tons) that contribute to local air pollution. Safety: Despite large increases in nonmotorized transportation, the pilot communities collectively observed a 20 percent decline in the number of pedestrian fatalities and a 28.6 percent decline in the number of bicycle fatalities from 2002 to 2012. Similarly, over the same time period, three of the communities experienced declines in the number of pedestrian injuries, and pedestrian injury rates declined between 17.9 percent and 55.1 percent in each of the four communities. Bicycle injuries increased in three of the four communities, but bicycling injury rates (incidents per number of trips) declined between 8.6 and 38.2 percent in each of the four communities. Public Health: Based on the added bicycling trips observed just in 2013, the U.S. Centers for Disease Control and Prevention (CDC) estimates reduced economic cost of mortality of $46.3 million from bicycling in 2013. This does not include reduced economic cost of mortality from walking or benefits from reduced economic costs of morbidity (i.e., the incidence or prevalence of disease in a population), which are likely higher than mortality. The full report provides more detail about how these health and environmental issues were studied. The report also offers lessons that the pilot communities learned while implementing the program. The NTPP demonstrates what communities can achieve by investing in nonmotorized transportation planning, infrastructure, and programs. 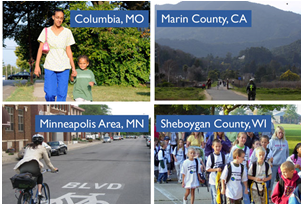 Columbia, Marin County, the Minneapolis area, and Sheboygan County serve as examples for peer communities nationwide as they consider how to improve nonmotorized transportation to produce a broad range of benefits in their communities. Of the multiple safety treatments from which an agency can choose to address this problem, what if one of them involved not increasing but rather reducing the number of travel lanes? That solution exists, and it is called a "Road Diet." Four-lane undivided highways have a history of relatively high crash rates as traffic volumes increase and as the inside lane is shared by higher-speed through traffic and left-turning vehicles. A classic Road Diet converts an existing four-lane undivided roadway segment to a three-lane segment consisting of two through lanes and a center two-way left turn lane (TWLTL). The configuration also provides an opportunity to allocate excess roadway width to other purposes, including bicycle lanes, on-street parking, or transit stops. Reduced overall crashes (typically 19 to 47 percent). Reduced rear-end and left-turn crashes through the use of a dedicated left-turn lane. Reduced number of lanes for pedestrians to cross. Reduced right-angle crashes as side street motorists must cross only three lanes of traffic instead of four. Improved traffic calming and reduced speed differential, which can decrease the potential for crashes and reduce the severity of crashes if they occur. Simplified road scanning and gap selection for motorists (especially older and younger drivers) making left turns from or onto the mainline. Install bicycle lanes when the cross-section width is reallocated. Allocate the "leftover" roadway width for other purposes, such as on-street parking or transit stops. Support a more community-focused, "Complete Streets" environment. The table below shows problems may be correctable by Road Diet implementation. A Road Diet can be a low-cost safety solution, particularly in cases where only pavement marking modifications are required to make the traffic control change. In other cases, the Road Diet may be planned in conjunction with reconstruction or simple overlay projects, and the change in cross section allocation can be incorporated at no additional cost. Geometric and operational design features should be considered during the design of a Road Diet. Intersection turn lanes, traffic volume, signing, pavement markings, driveway density, transit routes and stops, and pedestrian and bicyclist facilities should be carefully considered and appropriately applied during the reconfiguration for appropriate Road Diet implementation. As with any roadway treatment, data analysis and engineering judgment are required to determine whether a Road Diet is the most appropriate alternative in a given situation. FHWA is currently developing a Road Diet Informational Guide. The new publication will include safety, operational, and quality of life considerations from research and practice, and it will guide readers through the decision-making process to determine if Road Diets are a good fit for a certain corridor. It also provides design guidance and encourages post-implementation evaluation. The guide will be available on the FHWA Office of Safety website later this year. For more information, contact Becky Crowe at Rebecca.Crowe@dot.gov. With rising transportation costs and healthier lifestyle opportunities, Americans are taking a hard look at how they move from point A to point B, which is creating a greater need for traffic safety assessments. But as the Institute of Traffic Studies (ITS) at the University of California Berkeley has discovered, it's more than just vehicular traffic that needs to be reviewed. With a grant from the California Office of Traffic Safety, funded through the National Highway Traffic Safety Administration, ITS's Technology Transfer Program is adding pedestrians and bicyclists into the equation by providing free pedestrian and bicycle safety assessments (PSA and BSA) for California communities. The Technology Transfer Program also developed both online and physical technical guidebooks to assist communities in assessing their pedestrian and bicycle safety needs to foster the growth of safer communities nationwide. "We've seen a lot of success with our award-winning safety assessment programs," said Laura Melendy, ITS assistant director. "As we move to be more inclusive of multiple traffic safety concerns, we are helping the state create better, safer and healthier options for people and the environment." Complementing the urban and rural traffic safety assessments, pedestrian and bicycling safety assessment studies look for ways to alleviate growing traffic tangles by encouraging safer walkable and bikeable solutions. Both pedestrians and bicycles create specific challenges: each as its own collision patterns, human behavior issues, and severity of conflicts as they share the road with vehicles. These challenges are all reviewed in the safety studies. For the assessment, the Technology Transfer Program partners with safety experts who visit cities and counties to review pedestrian, bicycle, and urban and rural traffic conditions and concerns, tailoring their visit to meet the needs and interests of each community. These experts meet with key staff, perform field observations, analyze relevant data, and review current safety programs to suggest improvements and strategies. Specifically, they look at connectivity and continuity of networks; sidewalks, bike lanes and curbs; crosswalks and pedestrian refuges, pedestrian and bicycle signals, signs, markings and warning lights; road diets, speed limits and traffic calming; pedestrian, bicycle, and transit interface; safe routes to schools; accommodating pedestrians and bicyclists to ensure safety during design, planning, construction and operations; pedestrian and bicycle master plans; pedestrian/bicycle coordinators; and ADA improvements and accessibility upgrades. In the absence of an onsite visit, the award-winning technical guidebooks, based on the expertise and experience of evaluators, help walk communities through the assessment process, issues, and the improvements that will increase safety in communities across the country. For more details, to access the guidebooks, or to participate in a safety assessment study, check out Technology Transfer's website at: www.techtransfer.berkeley.edu/services. The partnership established between the Office of Safety and the Office of Technical Services, Technology Partnership Programs to jointly administer the Accelerated Safety Activities Program (ASAP) is a prime example of working together to accomplish common goals. 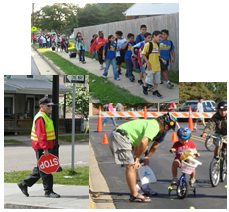 ASAP specifically supports the goal of promoting safety innovation through training, outreach, and education focusing on roadway departure, pedestrian, and intersection safety. The program also promotes partnerships between the Federal Highway Administration, State DOTs, and local agencies by requiring Local Technical Assistance Program (LTAP) and Tribal Technical Assistance Program (TTAP) participation in the proposed projects. Both LTAP and TTAP centers serve as excellent partners to help address local-level safety issues. Currently, limited ASAP funding is available to the 23 States that are eligible to participate in the Focused Approach to Safety (for more information, see http://safety.fhwa.dot.gov/fas/). All of the partners have taken advantage of the valuable resources ASAP provides and have proven the benefits that even small programs can achieve. Our Center has used its Accelerating Safety Activities Program funding to conduct training for public agency personnel; to date we have conducted a symposium on pedestrian facilities and another on signalized and unsignalized intersections, both with a focus on safety enhancements from the planning and design perspective. Our next activity will be an Older Driver workshop, as our state crash data shows a high representation of older drivers involved in both pedestrian and intersection crashes. We have been combining subject matter experts from FHWA, along with local professionals, to provide both global and home-based references for the audiences. Our Center has participated in the ASAP program since 2006, receiving five awards during the time period. Our funded projects include the purchase of a retroreflectometer for loan to local agencies for use in their sign assessment program, the production of a roundabout PSA to inform drivers on how to correctly navigate a roundabout, a Safety Edge peer exchange to discuss challenges and benefits of implementing the safety edge treatment, a Road Safety Audit course for Florida's Community Traffic Safety Teams, and an Intersection Safety course for rural counties and small agencies. The awards have made a great impact on the safety of our local transportation agencies by providing much needed training and equipment to improve the safety of their roadways. In April of this year, the Office of Safety awarded 12 projects from 9 States with ASAP funding totaling $106,998.00 for FY 2014. A total of 19 proposals were submitted from 10 Focused Approach to Safety States, which were evaluated by a technical panel and ranked based on their merit. The recipient States also invested at least 20 percent of their own funds, bringing the total investment for the projects up to $167,615.00. This is the ninth consecutive year for ASAP to assist States with implementing innovation in safety with over $1 million dollars invested to date. From May 11–14, 2014, FHWA co-sponsored the North American Conference on Elderly Mobility (NACEM) in Detroit, Michigan. There were national and international presentations on Alternative Transportation, Infrastructure and Vehicles, Driver Education and Training, Driver Screening and Assessment, and Housing and Land Use. The conference also included a roadway demonstration of proven engineering countermeasures to improve safety and navigation for aging drivers. In an effort to highlight best practices from the Conference, FHWA will develop a Noteworthy Practices Guide. As communities across the Nation experience transportation challenges facing older adults and are looking for methods to keep our older adults safely on the move, this Guide will include over 20 practices to assist them in improving mobility for the aging population. Look for the North American Conference on Elderly Mobility: Noteworthy Practices Guide on the FHWA website the Fall of 2014! New 2014 Handbook for Designing Roadways for the Aging Population Now Available! As the number of licensed drivers increase in age, FHWA is turning it's attention to the importance of designing state and local roadways with the aging population in mind. FHWA has made this job much easier with the recent release of the 2014 Handbook for Designing Roadways for the Aging Population. The new Handbook provides 143 recommendations to make intersections, interchanges, roadway segments, highway work zones and highway-rail grade crossings safer for the aging driver and pedestrian! From Road Diets to Roundabouts, the Handbook is filled with treatments to reduce crashes, injuries and fatalities. The Handbook can viewed and downloaded at: http://safety.fhwa.dot.gov/older_users/handbook/. Get your copy today! Recent advances in highway safety analysis are revolutionizing the practice of highway safety by providing more reliable information, which in turn leads to more effective investment decisions on the Nation's highway system. These advances, fitting into the general categories of predictive and systemic analysis, were selected as an Every Day Counts 3 (EDC3) program initiative. The goal of this initiative is to broaden implementation of these kinds of data-driven safety analyses so that they become an integral component of all safety management processes and project development decision making. Predictive analysis approaches combine crash, roadway inventory, and traffic volume data to provide more reliable estimates of an existing or proposed roadway's expected safety performance. The results inform roadway safety management and project development decision making as well as safety countermeasure selection and evaluation. Examples of tools that State and local highway agencies can use to apply predictive approaches include AASHTO's Highway Safety Manual and AASHTOWare™ Safety Analyst™ software, FHWA's Interactive Highway Safety Design Model (IHSDM) and Crash Modification Factors Clearinghouse, NCHRP's Enhanced Interchange Safety Analysis Tool (ISAT), and several commercial products in the marketplace. Several State DOTs including Florida, Illinois, Ohio, Utah, and Washington are using the HSM to prioritize their Highway Safety Improvement Program projects. The Louisiana Department of Transportation and Development has incorporated the HSM throughout its project development process, facilitating better decisions in planning, design, construction, operations and maintenance phases. Systemic analysis approaches target high-risk roadway features associated with particular severe crash types. A comprehensive safety management program incorporates a systemic approach to complement traditional site analysis (i.e., "hot spot") approaches. FHWA's Systemic Safety Project Selection Tool and the AAA Foundation for Traffic Safety's usRAP software* are examples of tools available to implement a systemic approach to safety management. Several agencies including the Missouri DOT and Thurston County, WA have been leaders in implementing the systemic approach to safety. FHWA, an advocate for a broader deployment of predictive and systemic analysis approaches to support highway safety investment decision making, has launched this EDC3 initiative to improve upon traditional approaches that rely on recent crash history data at a given site and prioritizing "hot spot" fixes. The net result of this initiative is a more scientifically sound, data-driven approach to allocating resources–resulting in fewer and less severe crashes on the Nation's roadways. If your agency is interested in furthering its data-driven safety analysis and would like assistance, please contact Jerry Roche in the Office of Safety (515-233-7323 or jerry.roche@dot.gov). * Note: FHWA cites specific tools as examples of ways to implement predictive and system safety analysis approaches, not as an endorsement of these specific tools over others. On April 10th, I had the opportunity to work with 35 middle school girls from across the Richmond region in Virginia at the first Transportation YOU! event. 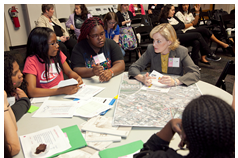 The Central Virginia Chapter of Women's Transportation Seminar paired up with the Federal Highway Administration, Virginia Department of Transportation and Virginia Department of Rail and Public Transportation to sponsor a "Girls in Transportation" workshop. There were several interactive working sessions that introduced middle-school aged girls to specialized areas of transportation, including highway safety. I had the opportunity to lead two groups of eight girls through an intersection safety improvement project. The girls were required to determine the appropriate operational and safety upgrades, which ranged from pedestrian and audible signals, emergency vehicle preemption detection, detection cameras and bicycle signal heads. They were also required to account for the funding required for the upgrades. The girls actively debated which improvements to make and designed an intersection to accommodate all road users, including pedestrians, bicyclists, the aging population, as well as the many emergency vehicles traveling to the nearby hospital. The goal of the Transportation YOU event was to expose girls to different parts of the transportation sector and encourage them to consider a career in transportation. As I worked with the girls, I was reminded of how fortunate I am to work in safety and focus on saving lives every day! I hope I had a positive influence on just one girl and we will work side-by-side in the future, reducing injuries and fatalities, and making our roads safer. The Roadway Safety Data Improvement Program is a component of the Office of Safety's technical assistance and outreach efforts conducted through the Roadway Safety Data Program (RSDP). To further support data quality improvements among the States, the RDIP program has developed a process whereby a State may request an RDIP data review. In an RDIP data review, a technical assistance team (TAT) comprised of subject matter experts works with the State to examine multiple aspects of the State's roadway inventory database (e.g., data collected, usage of the data, management and governance of the data, and the interoperability of the data with other databases). In preparation for an on-site visit with the State, the TAT will review relevant materials, policies, practices, and procedures used by the State for its roadway database. With preliminary fact-finding completed, the TAT travels to the State to conduct a multi-faceted review with key representatives. The RDIP data review process consists of a workshop, two technical transfer sessions, development of a summary report, and a presentation of the TAT's findings to the administrators and managers of the roadway inventory database. The workshop is a highly interactive session that is open to both State DOT staff and external stakeholders invited by the host agency. Typical participants include the collectors, users, and maintainers of the State DOT roadway database and non-DOT users such as city or county engineers, MPO planners, university researchers, and representatives from various interest groups or associations. The workshop addresses "good practices" for roadway data collection, use, and management. The TAT also conducts two technical transfer sessions, which are round-table sessions to review and discuss the TAT's findings and recommendations regarding State's roadway inventory database and management practices. One technical transfer session is devoted strictly to the internal practices of the State DOT. The second technical transfer session involves the State DOT and selected representatives from local agencies (cities, counties, MPOs) to examine current data and roadway information sharing practices between these stakeholder groups. Finally, during the on-site portion of an RDIP review, a summary report is developed that presents the TAT findings on how the State is performing in collecting, using, governing, and sharing roadway data and makes recommendations for how these processes might be improved. The TAT presents its findings to the State DOT in a face-to-face meeting at the conclusion of the State visit. A more complete narrative report of the findings is written and sent to the State approximately 6 weeks after the site visit. Thus far, FHWA has completed RDIPs with five States and has several more planned. The participating agencies have generally expressed positive comments about the RDIP process and the findings provided in the reports. The Roadway Safety Data Improvement Program was developed by the FHWA Office of Safety as an information resource designed to assist States in improving the quality of their roadway inventory data. Additionally, given the requirements imposed on States' safety data systems by the MAP-21 legislation, the RDIP is intended to provide States with a way to improve their roadway data to better support States' safety countermeasure programs. If you would like more information about the RDIP data review process, please contact Robert Pollack at Robert.pollack@dot.gov or 202-366-5019. 2014 Governors Highway Safety Association Annual Meeting, September 6-10, 2014, Grand Rapids, MI (tinyurl.com/luc9wh9). GHSA's 2014 Annual Meeting will explore highway safety after MAP-21–from congressional legislation to technology to new approaches and programs. Breakout workshops topics include: teen safety, older driver safety, drugged driving, motorcycle safety and other important highway issues. AASHTO Standing Committee on Highway Traffic Safety - Subcommittee on Safety Management (SCOHTS-SM) Annual Meeting, September 9-12, 2014, Grand Rapids, MI. (http://tinyurl.com/n9tspf9). Join your colleagues for this annual meeting that will focus on implementation of the SCOHTS Strategic Plan, with presentations and discussions on research and activities related to the goal areas of the Strategic Plan, including the Toward Zero Deaths national strategy on highway safety, Highway Safety Manual, workforce development, and performance management, and other topics of interest in the safety management field. Systemic Safety Implementation Peer Exchanges, September 17-18, 2014, Salt Lake City, Utah and November 18-19, 2014, Columbus, Ohio: The purpose of the peer exchange is to advance the systemic approach to reducing fatalities and serious injuries on local and rural roadways. The peer exchange will provide a forum for participants to discuss and exchange ideas on the application of systemic safety analysis, as well as the benefits and challenges associated with incorporating a systemic approach to safety in their existing roadway safety management programs. HSIP Peer Exchange: Streamlining HSIP Project Delivery, September 23-24, 2014, Charleston, West Virginia. The purpose of the peer exchange is to share noteworthy practices for streamlining HSIP project delivery and identify opportunities for West Virginia to advance HSIP project delivery from planning through design and construction. The peer exchange is open to invited participants only. Learn more about FHWA's Roadway Safety Peer-to-Program at http://rspcb.safety.fhwa.dot.gov/technical.aspx. Transportation Research Board (TRB) 94th Annual Meeting, January 11-15, 2015, Washington, D.C. (http://tinyurl.com/lp5k2zf). The spotlight theme for the 2015 TRB Annual Meeting is "Corridors to the Future: Transportation and Technology." A number of sessions and workshops will focus on this theme. Note that TRB standing committees have issued calls for papers for the TRB 94th Annual Meeting. While papers addressing any relevant aspect of transportation research will be considered, some committees are soliciting papers in specific subject areas to help potential authors identify topics for their papers. International Walk to School Day, October 8, 2014 (http://www.walkbiketoschool.org/). Join millions of parents, teachers and community leaders across the globe by encouraging your children to walk to school in celebration of International Walk to School Day. In 2013, communities in more than 40 countries participated in Walk to School Day, and more than 4,400 of these events were held through-out all 50 States and the District of Columbia.